A War With A Lost Cause…. When Islam is no longer a choice…. Hiba Naeem is an undergrad studying literature with minors in European history and mass communications at the University of Karachi. She hopes to work as a journalist on socio-economic topics and loves traveling, especially to Rampur, India, about which she intends to write one day. 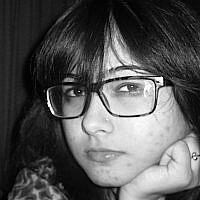 Hiba Naeem also aims to work as a correspondent for a reputable newspaper soon.